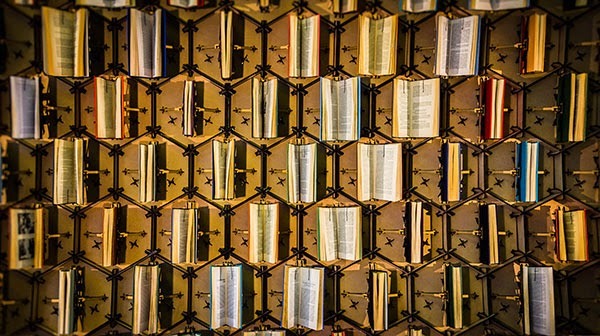 An interactive animatronic installation consisting of 400 books in the shape of a honeycomb structure that will fill the entrance of the Bristol Central Library to celebrate its 400 year anniversary. The installation is a response to the impact digital culture has had on the work of public libraries and the human relationship with the physical book. 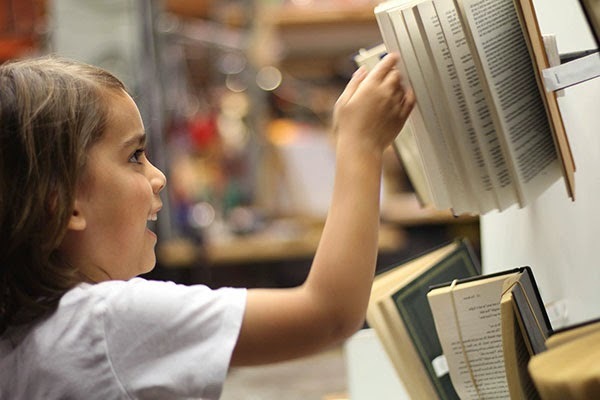 Book Hive is an interactive sculpture created to celebrate the 400 year anniversary of Bristol Libraries, and it will ultimately feature 400 animatronic books. Large wooden structures awash with honey light will engulf visitors in an immersive and atmospheric environment, where life-like animated books, inhabiting the cells will physically engage visitors, reacting to their movements in the space. Book Hive is a three month project, where the public gets the opportunity to influence its development. Rusty Squid will observe the public’s behaviour, and with the assistance of the Book Hive Keepers (exhibition stewards), collect feedback, in order to transform the shape of the hive and the way that the books respond. This evolution will take place over two months, between December and February, with the full 400 books installed by 7th February 2014.